Bryant Chiropractic Clinic of Huntsville, AL has K-Laser Class IV Therapeutic Laser Treatments for Advanced Pain Relief and Enhanced Healing! Dr. Martin Bryant of Bryant Chiropractic Clinic proudly offers K-Laser Class IV therapeutic laser treatments for advanced pain relief and enhanced tissue healing. Bryant Chiropractic specifically has the Cube series laser which is the latest laser therapy that the FDA has approved. The Cube laser offers improved absorption of wavelengths, enhances deeper treatment, and shortens treatment time. We are very excited to offer these treatments to our patients. Lasers have been used in Europe for dozens of years, but are relatively new here in the US. The K-Laser is an effective treatment for many conditions. 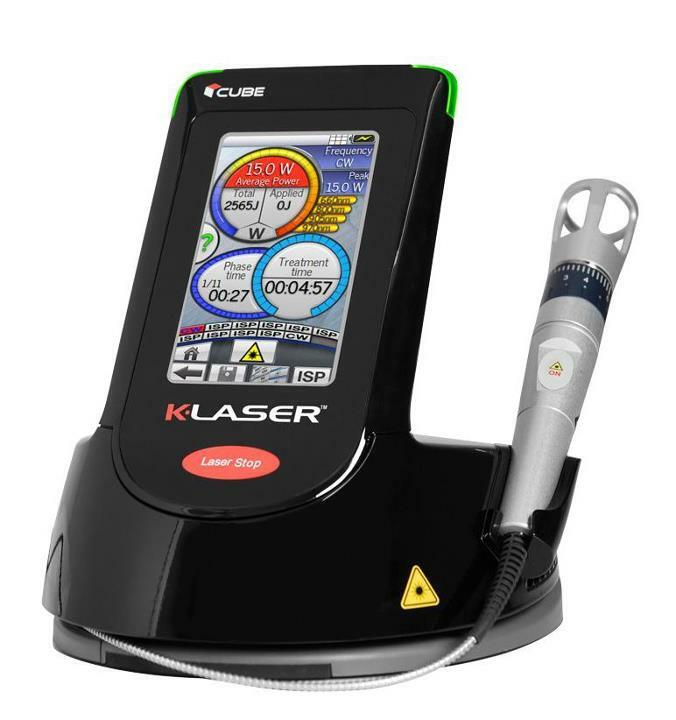 The K-Laser is a product of K-LaserUSA, the leading company in Class IV laser therapy. The K-Laser is being used by numerous health care providers and professional sports teams throughout the US and the world. We can help many more people than we could before. The K-Laser is absolutely the best thing to ever happen to our office. It is very exciting to help people get the results they want, and with virtually no side effects. Many therapeutic lasers being used to this point were Class IIIa or IIIb, since their power output was under 500 milliwatts. The K-Laser Class IV Therapeutic Laser delivers up to 12,000 milliwatts of therapeutic laser energy. It is the only Class IV therapy laser with wavelength selectability, intense superpulse, and multiple therapy presets. The higher power of Class IV therapy lasers delivers a therapeutic dosage of laser energy to a larger volume of tissue, thus producing more immediate, significant results. Laser therapy works by stimulating production of cellular energy in damaged cells and by enhancing the cell membrane permeability. This promotes the speed and the quality of healing, enhances the exchange of nutrients and wastes across the cell membrane and improves elasticity of injured tissues. Laser therapy also modulates pain and reduces inflammation. It can be used immediately on acute injuries, over broken skin and over metal implants. Laser therapy enhances the rate and quality of healing of acute injuries, and can help with the resolution of chronic complaints such as arthritis. The staff at Bryant Chiropractic Clinic is more than happy to answer any questions about K-laser therapy.